On Wednesday, February 24th, Mosaic and Parents of African American Children will co-sponsor A Movement Into Action: The Evolution of the Fight for Civil Rights, an evening event where panelists will share their unique perspectives on civil rights issues form the historic civil rights period until today. 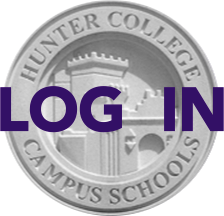 Following the discussions, Hunter students will be offered the opportunity to pose questions to the panelists. Confirmed panelists are Mr. Jonathon Moore, civil rights attorney, Ms. Margarita Rosa, Executive Director for National Center for Law and Economic Justice, and Ms. Debbie Almontaser, President of the Board for the Muslim Community Network. The panel moderator will be Jane Tilman Irving (HCHS '65), recent recipient of The Writers Guild Award for her WCBS Radio series, "Civil Rights at 50." Please join us on Wednesday, February 24th at the HCCS Auditorium from 6:00 - 8:00 p.m. Light refreshments will be served.